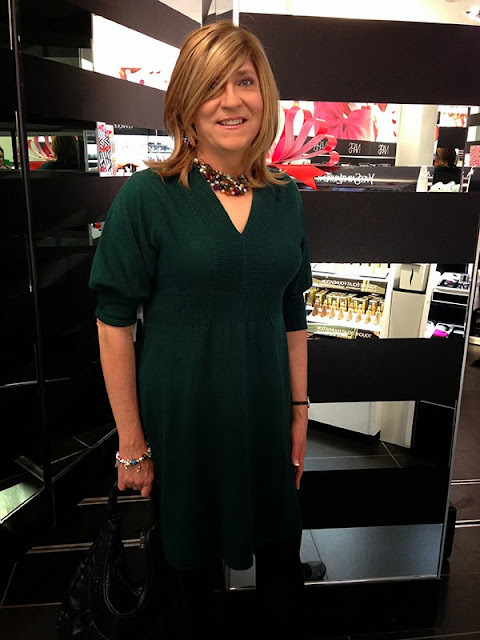 When I went Christmas shopping for myself at Sephora on Wednesday (above), it reminded me of Tuesday's installment of The Meaning of Lila (below). 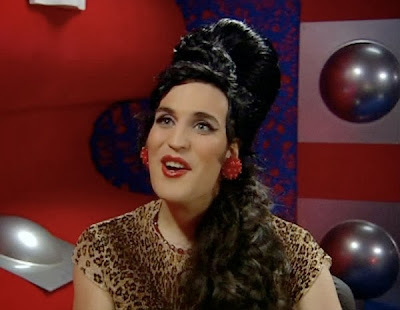 Actor Noel Fielding femulating in British television's The Mighty Boosh, circa 2006. Wearing 10 Crosby Derek Lam. Stana-- You look like Jennifer Aniston's sister! Love you hair, the whole outfit!!!! What a nice thing to say! Thank-you. You do look great. I cannot believe you are over 60....I also cannot believe you are not a GG.